I’ve been quiet lately because I’ve been out of town. 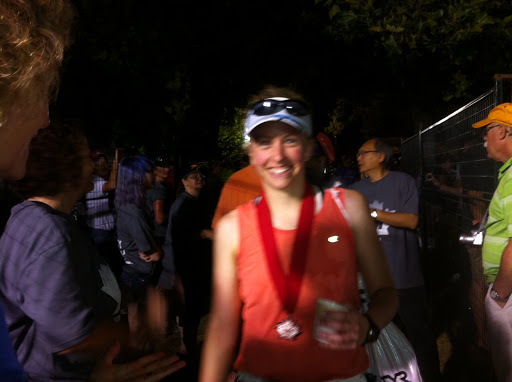 I went to Ironman Canada in beautiful Penticton, British Columbia. I did this race last year. This year, I went as a sherpa and a volunteer and had a wonderful week. I am a bit of a junkie when it comes to heartfelt sporting events. I know most sporting events are about heart, but Ironman is and will always be particularly special to me. The event – swimming 2.4 miles, biking 112 miles, and running 26.2 miles – is unthinkable on the one hand and utterly doable on the other…if you have enough heart. Though I was not racing, this trip fed the Ironman addict in me. A number of things made it wonderful. The athlete I went to support had an amazing race, finishing in 13 hours and 33 minutes. It was her first Ironman. She spent months training diligently for this event. I wanted the experience to be perfect for her, and it was. The winner of the 2011 Subaru Ironman was a guy who about a year and half ago was hit by a car while cycling and left for dead. A passerby stopped to help him, apparently minutes before he bled out, and now he is back. Really back. You can read his speech from the closing banquet here. That winner articulated something utterly beautiful during his speech. He said, “No one in this room has a burning desire to be typical.” I could not agree more. That’s part of what makes Ironman so special. I got to see Sister Madonna Buder race at age 81. She just barely missed the bike cutoff – just barely – and that hurt my heart for her. But still, she swam 2.4 miles and biked 112 miles at age 81. That’s unbelievable! 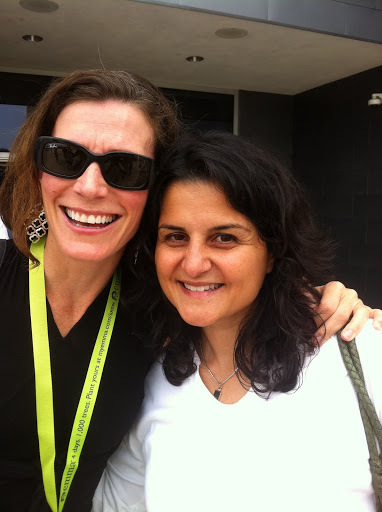 Did I mention that my athlete had an amazing race? I was and am so incredibly excited for her. She surprised herself. And that is, in my opinion, what Ironman is all about. Congratulations, Erin. You are an Ironman. I became a spy kid today. I had the pleasure of attending the Spy Kids 4 premiere this afternoon with my gorgeous 11-year-old nephew and my dear friend, Catherine. I hadn’t seen Spy Kids, Spy Kids 2 or Spy Kids 3-D, so I didn’t know quite what to expect. There were lots of little people in the audience, so I assumed the movie would be so ultra kid-friendly that the experience would be good for me because it meant time with my nephew – not because I’d love the movie itself. But I did love the movie. It was sweet and thoughtful and funny. I don’t remember the last movie I saw that had such fantastic messages for kids. There were so many messages. Be creative in your problem solving and trust that you are equipped to handle whatever task is before you. Work with your siblings, not against them. Appreciate time, and make the most of it today. Don’t hide the real you. I hope my nephew absorbed those messages. I hope he felt empowered by seeing young people on stage talking about doing something they love so much that they can hardly describe it as “work.” I hope he recognized that the director isn’t some untouchable. He is a regular man with a mom and a dad and siblings. I hope the experience touched my nephew and inspired him. Also, I hope my nephew had a good time. 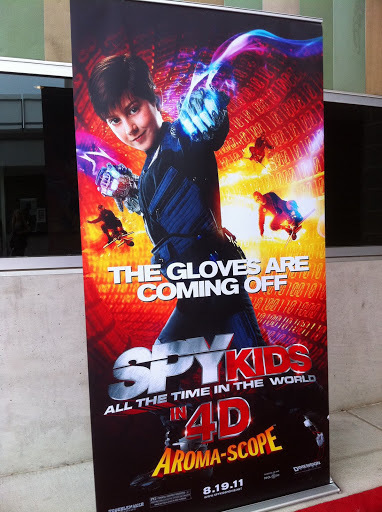 Some might say Spy Kids 4 is a movie for kids. I say it’s a movie for kids of all ages – even us bigger kids. It’s difficult to wake up at 7 a.m. for a workout after a late night of wine and friendship. Right now, given the choice between an early night and a workout and a late night of hanging out with friends and no workout, I’ll take the late night and no workout and be more than okay with it. Tommy Holt is more than a gifted photographer. He is wonderfully adaptive to a client’s needs. He is a gem. My sister’s second dog slobbers something awful. Given the choice between being clean and dry and being kissed by a slobbery but sweet dog, I’ll take the slobbery kiss and be more than okay with it. My sister makes a damn good salad. After eating a damn good salad, I crave eating better than I’ve been eating in recent months. My sister and her crazy night-time dreams may be my ticket to an Oscar for the Best Original Screenplay. An hour on the phone interviewing someone interesting for a profile piece feels like five minutes. My fifteen-year-old niece has surpassed me in height and shoe-size. My eleven-year-old nephew also has surpassed me in height and shoe-size. My fifteen-year-old niece thinks opera, specifically Les Miserables, is cooler than The Voice. I can watch the Vicci-Nikki battle again and again and again and never even approach beginning to tire of it. My parents finally got wireless Internet. Mom’s new PC is cool, but my new Mac is way cooler. I am loving a quiet Saturday night at home. Writing, even under a deadline, does not feel like work on any level. Happy Saturday night, friends. Make it a good one. I spent the weekend in Seattle. Part of the weekend included an outing to a Mariners game. 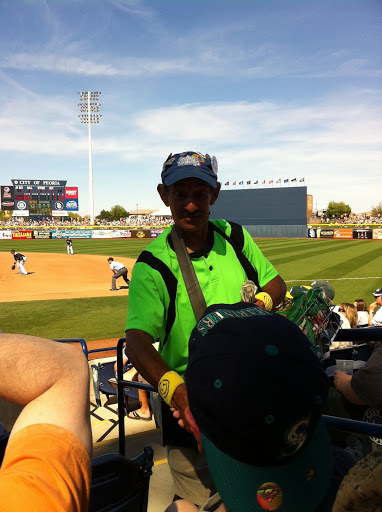 I was looking forward to the game for a variety of reasons, one of which was that I wanted to see Rick, the “Peanut Man,” in action at Safeco Field. I’m not a regular baseball fan and know little about the Mariners. But earlier this year, I went to a spring training game in Phoenix and learned a little about Rick. I learned then that he had been with the Mariners since 1977. Selling peanuts, he made a name for himself among the fans and the team. They touted the accuracy with which he tossed the peanut bags and the personality with which he won over adoring fans. This was Rick in March. I liked what I saw of him because he reminded me that it’s most important to do something you love. Do something you love, and do it well. That’s success in my book. And that was what I saw in Rick. While I was walking into the Mariners game this weekend, I commented that I hoped to see Rick in action in his home field. That’s when I learned that Rick died last Tuesday. I also read the article about him written in the Seattle Times. 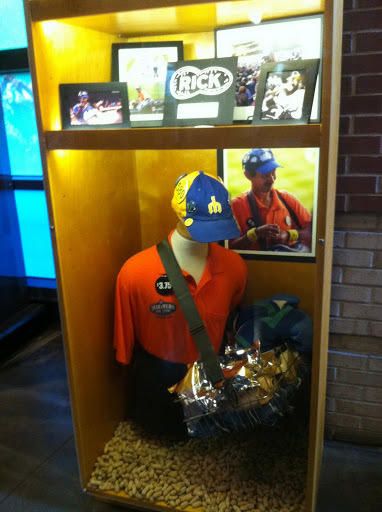 It opens, “Rick Kaminski, the beloved ‘Peanut Man’ at Safeco Field, died…” The beloved Peanut Man. The beloved Rick. He did what he loved. He did it well. And he was beloved. I admire that so much. I hope the same can be said of me when one day.